# 3006 128 W Cordova St, Vancouver - SOLD | Guy Christie - Oakwyn Realty Ltd.
WOODWARDS ! W 43 TOWER ! GASTOWN ! This is AMAZING VALUE & OPPORTUNITY to buy the BEST PLAN in Gastown's / Vancouver Landmark Property ; Fabulous 2 Bedroom & 2 Full Bath corner unit with views of Burrard Inlet Waters , Mountains , City Her itage Skyline & Mount Baker . Includes : Floor to Ceiling Windows , an open floor plan, exposed / polished concrete over height ceilings , European custom kitchen , polished stone counters , AEG gas cooktop & LG Stainless Steel Appliances . Large gallery walls for exhibiting art work . Rough-in provided for your personal chandelier . PARKING OWNED and BELOW in U/G of W43 Tower (not across street) . Strata Fees include heat & internet . 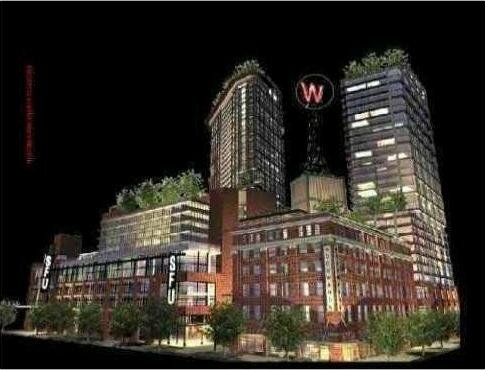 FANTASTIC ROOF Club " W " Penthouse , 4000 SF Amenities .